Wouldn’t you like to know what the kingdom of heaven looks like? Jesus knows that the Kingdom of Heaven is not of this world, so He gives us glimpses into His Kingdom every time He teaches using a parable. 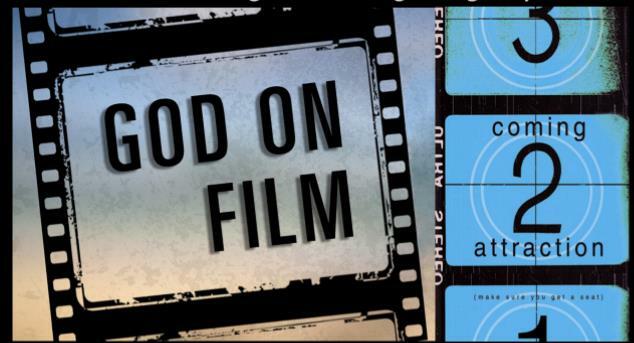 This month at Redeemer by the Sea, during our “God on Film” sermon series we will be looking at a number of the Parables of Jesus, and asking some key questions. What is the Kingdom of Heaven like? What’s special about it? Well for one thing God’s Kingdom is not some geographical area surrounded by physical boundaries, as are the kingdoms of the world. Rather it is an abstract idea expressing the entire reign or dominion of the King, Jesus. Therefore the Kingdom of Heaven is really wherever Jesus reigns in authority. It is not a physical Kingdom … but a spiritual one. Jesus attested to this fact as He testified before Pilate in John chapter 18. And Jesus’ subjects (His faithful people) are different than the subjects of any earthly kingdom too … operating out of love and faith, rather than fear or compulsion. Why did Jesus teach in parables? For that we might consider what the word “parable” itself means. According to Vine’s Expository Dictionary of New Testament Words it signifies the “placing of one thing beside another with a view to comparison.” In other words, a parable puts the known next to the unknown so that we might learn about the unknown in terms we can relate to. Another reason that Jesus taught in parables was because in so doing Jesus effectively separated the truth-seekers from the curiosity-seekers. Someone who was just looking for Jesus to do miracles and give them food wasn’t going to be looking for the deeper truths of the Kingdom that a parable revealed. In the Parables we can see several sub-themes emerge. As Jesus taught about the Kingdom of Heaven, He also, by extension and comparison, taught about the King and the King’s subjects as well. So for example, the Parable of the Mustard Seed and the Parable of the Hidden Treasure indicate something about the character of the Kingdom. But the Parable of the Workers in the Vineyard teaches something very important about the character of The King Himself – particularly His overflowing generosity. And a parable like the Good Samaritan teaches about the character of The King’s subjects – they demonstrate the generosity of the King here on earth. Clearly, there is much to learn about the Kingdom of God in Jesus’ parables. I’m looking forward to spending the first part of our summer enjoying some fun movies which are a testimony to the creativity and talent of humans. But I’m even more looking forward to using those movies as a springboard to delve into the Scriptures through the Parables of Jesus, which are a testimony to the very special nature of God’s Kingdom. I pray that your summer is both a refreshing time and a growing time for you. We hope you’ll join us as together we Worship, Grow and Serve together at Redeemer by the Sea!